So many people try to quench their spiritual thirst by physical means: family…friends…job…possessions. Yet none of these earthly things can meet their heavenly need, as Augustine famously prayed centuries ago: “Our heart is restless until it rests in You” (Confessions 1.1). It’s easy to be impressed with ourselves, isn’t it? We become enamoured with our positions and authority and we forget it is all given to us from the Saviour. Everything we have is on loan from Him. How do we handle the mysteries? What do we do with those unsolved questions? How do we live in the realm of untimely pleasure? Chuck has three suggestions for us. Sincerity, effort, or focusing on your faith doesn’t grant true assurance. The real ground of God’s acceptance is the grace that He has showered on you through the life, death, and resurrection of Christ. This inductive study is designed to create a better understanding of heaven. For the next 30 days read the questions and allow them to spark deeper personal reflection and life change. Where do you have to go to hear God's voice and feel His peace and contentment? 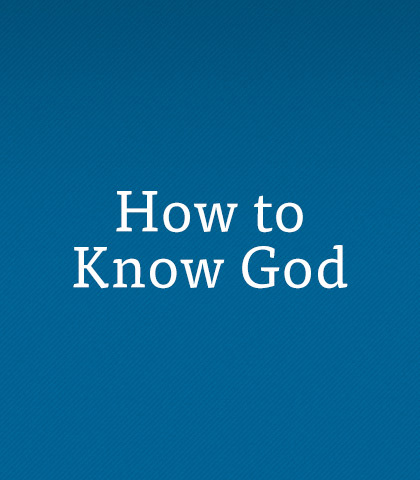 Chuck Swindoll describes one scene where you're not likely to hear what God's saying to you.